I'm trying to remove my u joint flange so that I can replace a leaking pinion seal. Long story short, with what I have available to me, I cant keep the the flange stationary while also removing the pinion nut. The shop manual refers to a tool to help keep the flange still, but I cant seem to locate one. Anyone know where I can find one or have recommendations on how to do this without it? The manual also states the whole carrier needs to be removed to do this. I was planning on doing it while under the truck and not pulling the carrier. No reason I cant do this right? The shop manual refers to a tool to help keep the flange still, but I cant seem to locate one. Anyone know where I can find one or have recommendations on how to do tdhis without it? If that is a 9 inch rear there is a crush sleeve on that pinion that sets the preload on the bearings. In theory that needs to be replaced when you remove the pinion nut and yoke. Putting those back together is a little more involved than taking the nut off and putting it back on. You might be able to get away with what you are planning but you will have to get that nut back on at exactly the same spot is in right now. I have used a real big pipe wrench to hold the pinion yoke while I removed the nut. I hope you have a 200 ft. lb. torque wrench handy to put that nut back on with. I am assuming it is a Ford 9" rear...…. 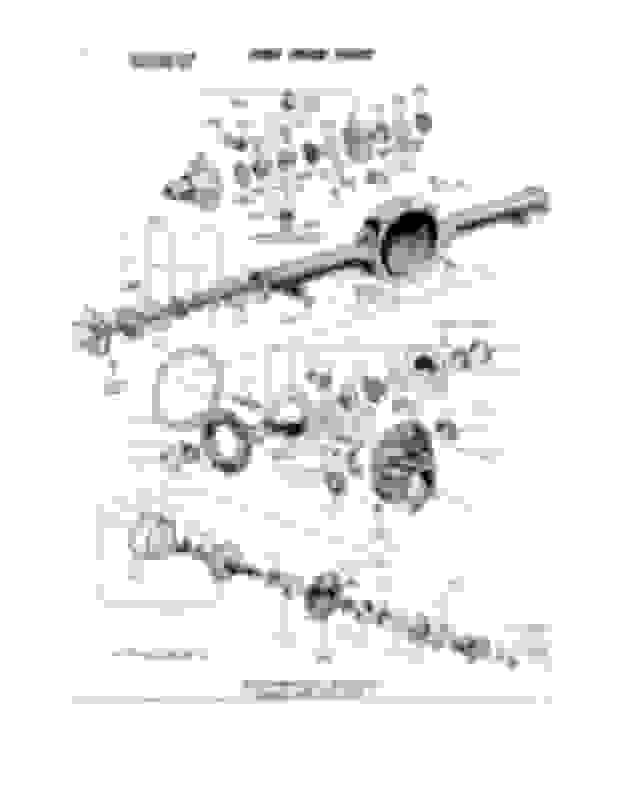 The shop manual shows numerous special tools; spanner wrench, pullers, pushers, etc. to do the job and states that the nut/washer assembly should be replaced. Below is a link that describes the process when one does not have all the special tools. They say to use a large pipe wrench to hold yoke while removing/installing the nut just as CropDuster suggested. You may also be able to borrow an adjustable pin style spanner wrench from a local auto parts store to hold yoke; many auto parts stores that loan tools usually have pullers and pushers if needed to get yoke off and reinstall. You will also need an inch pound dial type torque wrench to record existing pinion rotating torque and to reestablish rotating torque upon assembly to ensure proper pinion bearing preload along with a foot pound torque wrench to install nut..
Would you really need the foot pound wrench if the final setting is pinion rotating torque with inch pound wrench? Being the nut is a lock type nut that would throw off the foot pound setting anyway. Yep record existing pinion rotating torque, remove yoke, replace seal with lube, install yoke and install nut (new nut & crush sleeve would be nice) and set to recorded existing pinion rotating torque, install drive shaft and enjoy. One could, in theory, obtain the correct rotating torque without knowing what the tightening torque is on the nut. I would say the use of the larger torque wrench gives you finer control over the preload refinement as in the link where they bring the nut torque up in 5 ft pound increments until the final rotating torque is obtained. The crush sleeve need only be replaced if the desired rotating torque is overshot - if this happenings the sleeve is "crushed" too much and must be replaced. I can see where sneaking up on it in 5 ft lb sets would work. Sneak up on 175 ft. lbs. of torque. One would have to be a big gorilla to pull that off. If I have anything that has to be that tight at my age. I have to go borrow another person to do it for me. I usually try to do things the right way, which is described above. However, I have done this job the wrong way with good results. I marked the nut's position with a paint pen and counted the revolutions as it came off. I replaced the seal and cranked the nut on to its original position as Crop Duster suggests. You'll need a longarm with a snipe on it to get it back to position. (I wouldn't use a snipe on a torque wrench.) This method won't give you a precise torque value but it will be close. I found out recently that I have access to the proper kind of torque wrench at work, so I guess I'll be pulling the whole carrier and taking it up there with me one day. Below is a pic of the kit I have, which includes the sleeve but no nut. Is there anything special about the nut or can I just get one at fastenal or somewhere similar? I didnt have the proper socket so I fit a 27mm on there, leading me to believe it's a 1 1/16 head nut, but not sure of the pinion diameter or pitch. Since apparently this is more of a PITA than originally thought, is there anything else you'd recommend replacing while I'm in there? Possibly order a bearing while I'm at it? Only thing that I also have which is not pictured is the large housing gasket that I also plan to replace. If you only want to change the pinion seal I would not remove the pumpkin unless you plan on going through the entire rear axle. Looking at the link you posted, it says "apply red loctite when installing". Is red loctite really necessary? And if so, does that mean it's probably on there currently and I need to torch this before trying to break the nut loose? With your reccomendation as to not pull the whole pumpkin, I assume I can just remove the 5 bolts and pull only the pinion housing (not sure if that's the proper name). Once the bolts are out should it just easily slide out or will I have to put a puller on it? I'm not sure why they say to apply Loctite when the image shows the nut already has some sort of "locking" material on the threads - so no, I would not apply Loctite. You should add a light coat of sealant to the rear face of the nut/washer assembly and a very light coat of sealant (Permatex type stuff) to the splines where the yoke and pinion mate. 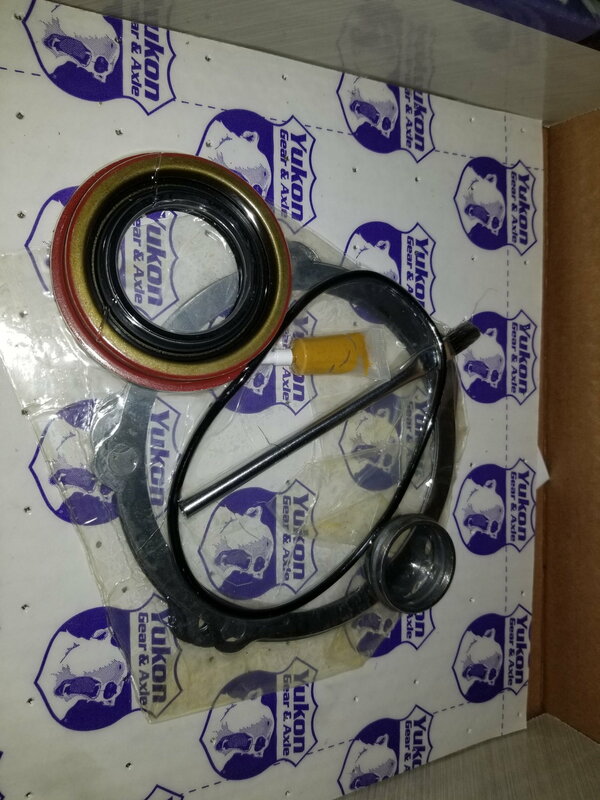 Both the rear axle input yoke and the transmission output yoke can seep a little gear oil at the spline interface without a little dab of sealant. Often what people deem as a leaking seal is actually coming out at the spline interface. I have replaced such seals before only to discover a little leak a few months later …. cursed seal quality, replaced again, leaked again - then I read somewhere about seepage at spline interface. No, I would not at this point remove pinion; just get yoke off and replace seal. I am assuming you are not, at this time, interested in going through the rear axle nor are you experiencing any other problems beside the leak you wish to remedy. I really cannot say why the shop manual and the other online tutorials specify replacing the nut - but they all specify that - someone mentioned below that they had reused the nut when changing the seal. If I went that way, I would add a bit of Loctite to the threads when reinstalling used nut because the holding power of the original locking substance will be diminished when nut is removed.